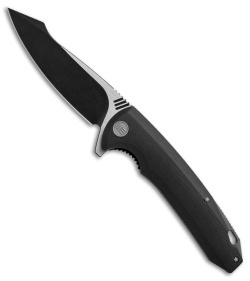 This 617A model is outfitted with a black G-10 handle and a two-tone finished blade made from D2 steel. 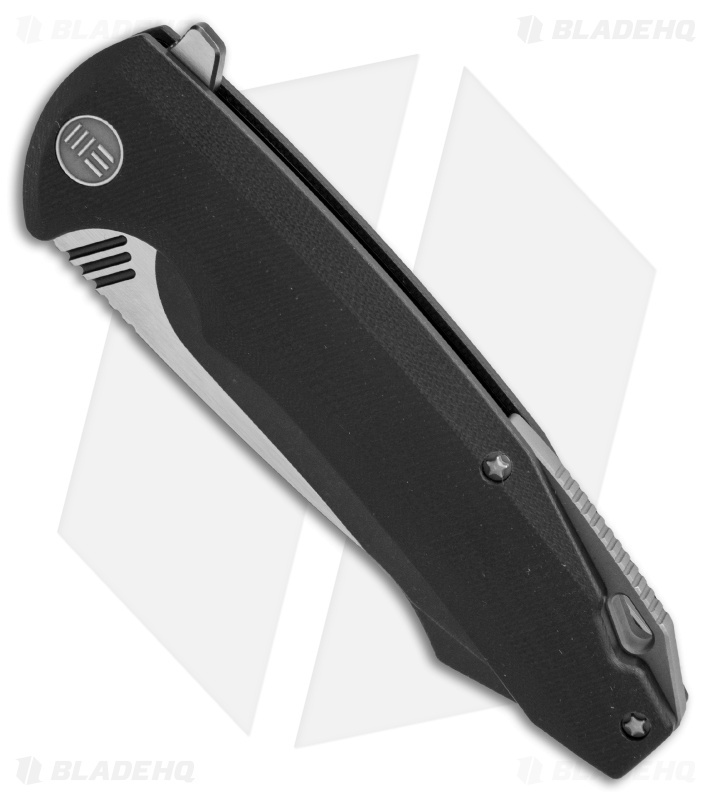 The 617 offers the first G-10 folder from We Knife Co., for those who prefer a more tactile grip than their standard titanium handles. It has a stylish harpoon style blade made from ultra-tough D2 tool steel. Ceramic ball bearings and an integral blade flipper provide silky smooth blade deployment with a push of the finger. 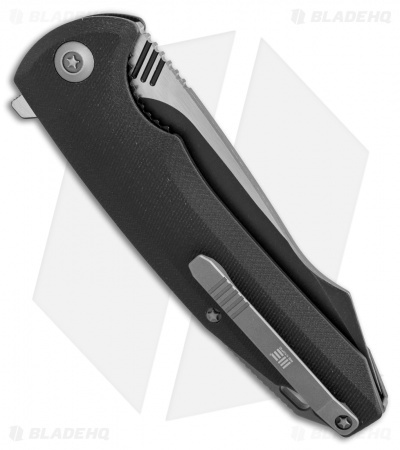 Titanium pocket clip, backspacer and hardware further solidify the design. G-10 handles provide a tactical grip in diverse environmental conditions. Ceramic ball bearings and blade flipper for effortless blade deployment. Slim titanium pocket clip offers a comfortable pocket carry option for EDC. What a great opening mechanism and beautiful knife, my new favorite! Greatest EDC I have ever had. Absolutely beautiful. Perfectly precise. Suprisingly simple. Comes with a lit knife pouch with an awesome fluffy interior. a proprietary tool. and a cool card. The knife itself is very sharp, easy to strop, and stands to a lot of abuse. The action is one of my favorites ever, and I can't help but say "WEEEEE" every time I open it.